The Guardian Project and Freedom of the Press Foundation have just published a beta version of a surveillance app on the Play Store. For those who don’t know, Freedom of the Press Foundation is a non-profit organization which focuses on helping, supporting, and defending public-interest journalism focused on exposing mismanagement, corruption, and law-breaking in government. The organization is headed by Edward Snowden who was the person behind the exposure of NSA’s unconstitutional seizing of the private records of millions of individuals who had not been suspected of any wrongdoing. 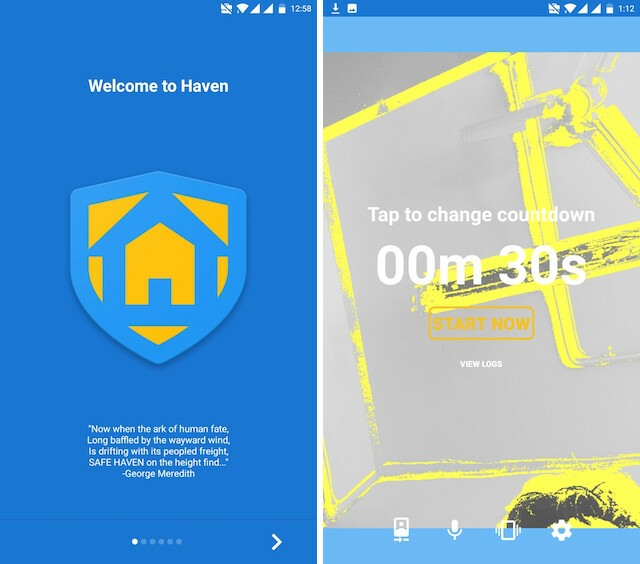 Their new app is called Haven: Keep Watch and has been released as a Public Beta on Google Play Store. The idea is that you leave your secondary phone behind at a place which you want to monitor and the app will send you all the images and sounds if it detects any activity. So, you have your own cheap personal surveillance system watching your back at all times. Haven has been released as an open-source project and anyone can contribute to it. Whether you want to contribute with your code or money, it’s up to you. According to the app’s description, Haven was designed keeping in mind the needs of investigative journalists or people leaving under the hands of oppressive governments. That said, Haven can be used by anyone who wants to protect their personal space. It gives people access to their personal watchdog which is always listening and watching. Haven also takes privacy very seriously. It uses the end-to-end encrypted messaging app Signal to send data from your surveilling device to your primary device. If even that doesn’t satisfy your privacy concerns, you can use an app called Orbot in tandem with haven, which turns your phone into a Tor Onion Service allowing you to access your data on the darknet using Tor’s impossible to trace connections. Right now the app is in its public beta and it will take some time before the full-stable version of the app is released. That said, in my testing, the app was able to detect motion around my laptop and send me notifications with pictures of the people who came near it. It was pretty impressive, to say the least. 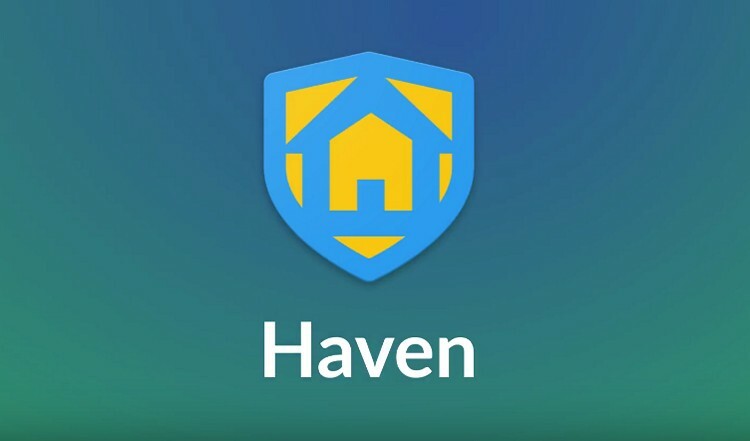 However, the future of Haven and how the app is going to be used is still uncertain. Although this is a very good app for people wanting to protect their privacy, I can see this app being used in ways which will do more harm than benefit. It’s quite an interesting app and I would love to hear your thoughts on this one. Do let us know, by dropping them down in the comments section below.